As you probably know by now, I’m all about statement necklaces. They’re my go-to piece whenever I want to really punch up any outfit. If you’re nervous about adding color to an outfit, this is a great and easy way to do so too. The best part is you don’t have to spend a fortune on them either. 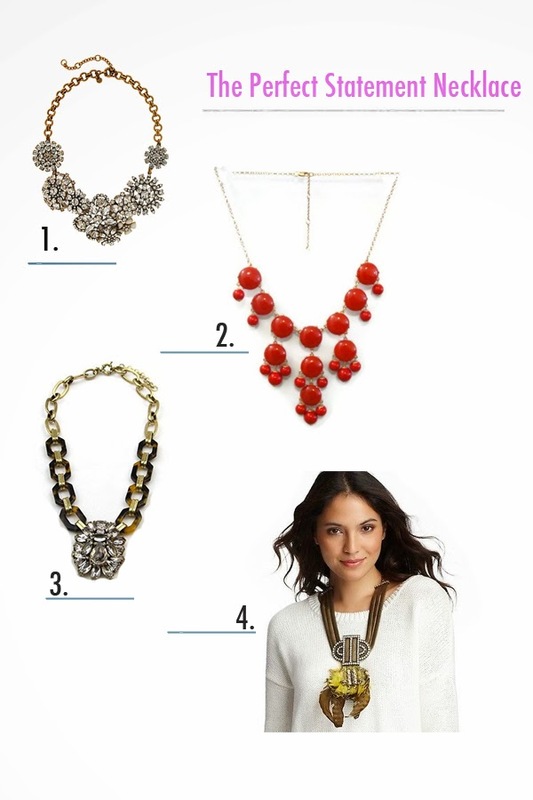 J.Crew and Anthropologie make some of my favorite statement necklaces, but they can range upwards of $100. But luckily, I’ve been able to find them on eBay for just a fraction of the cost, like this gorgeous Flower Lattice Necklace for just $56 or red bubble necklace for under $20 bucks. Here are some of my favorite statement necklaces I’ve been adding to my eBay Collections, which by the way if you aren’t already, be sure to follow my collection and follow me on eBay too. eBay is also giving away $25,000 to shop when you share your favorite eBay collection. And seriously, who couldn’t use 25k! You can get all the details here!